*Our standard delivery day either Monday and Wednesday which twice in a week . However, we will try to arrange for shipment as soon as we could after receiving your payment. Sorry if there any delay due to unexpected issue and we will notice you earlier if there is any. 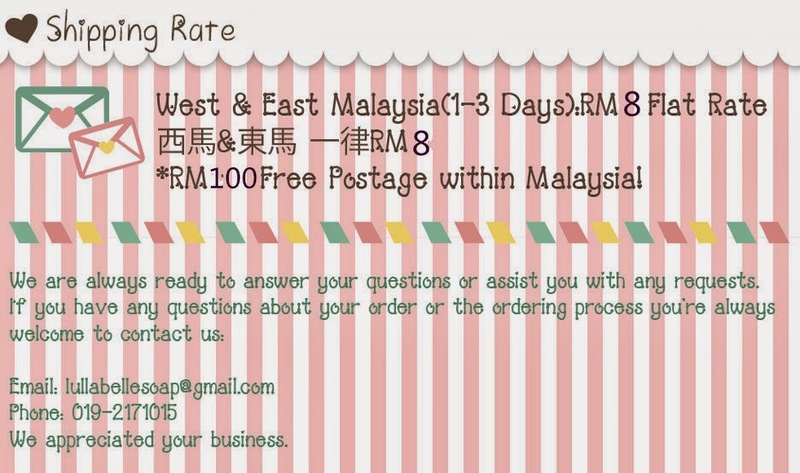 *After we have dispatched your order, we will send you a notification email with consignment / tracking number stated. Thank you! Upon checkout of item, each customer is given 2 days (48 hours) to fulfill the payment transaction. If payment is not completed within the time frame, the order will be null and void automatically. 2. An item send to you was faulty or rusty and damaged. Please contact us BEFORE sending back a shipment to let us know of the mistake or defect within 3 days of receiving the item(s). This will allow us to confirm that we have the inventory in stock and can be better prepared for the arrival of your shipment with faster processing. The customer is responsible for all return shipping charges, including duty and tax if applicable. We cannot accept C.O.D. shipments. For your protection, we suggest all returns be sent back to us through a traceable carrier. Most major carriers offer tracking information; however, domestic and international parcel packages are typically not traceable. Refunds will be credited to your original method of payment as soon as you provide us the postage tracking reference number.